In order to save the planet Raguy from the invasion of the Daruma tribe, the hero Blue must fight using leaves, boomerangs, and a variety of other weapons along with his special ability to change his body size. 'BLUE'S JOURNEY' is a side-scrolling action game released by SNK in 1991. The branching stages allow you to enjoy the game again and again. 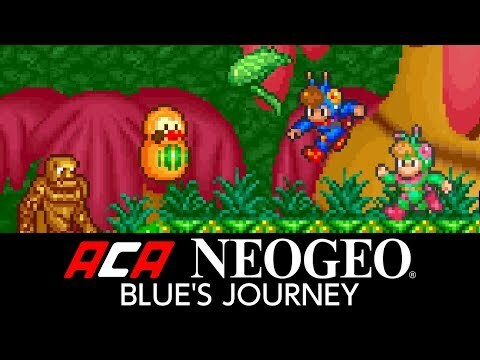 See ACA NEOGEO BLUE'S JOURNEY in Action!